On the white grape side, however, Maryland wineries are showing a slightly more pioneering attitude and venturing further afield to discover grapes might help them hit their own goals of quality while offering appeal to customers, the latter being that necessary part of maintaining commercial viability. Albarino seems to be a focus in particular, and for generally good reason, with others like Gruner Veltliner creeping up. More common than either, though, is Vidal Blanc, which it isn’t being taken as seriously. And that’s a shame because it can offer a compelling argument for more serious consideration by winemakers and consumers alike. Early last year, I had a Vidal made by Maryland producer Crow Vineyards that blew away my expectations for the variety. Unlike many other white vinifera varieties, Vidal is a good grape for the state’s challenging and varied climate, and when made like a serious wine it can, brace yourself, be a serious wine. It was with this in mind that I recently convened winemakers from five Maryland wineries to taste and discuss Vidal Blanc, which is widely made in the state but receives very little respect from consumers and critics alike who consider it a second- or third-tier variety. Vidal suffers from a poor reputation that stems, at least in my view, from two sources. First, it’s often made with residual sugar as a sort of porch pounder or wine to fill out a portfolio, and in so doing is made as a simple wine. And second, when made dry it can still often deliver a relatively simple profile if not treated as a unique variety in the vineyard and winery, which it often times is not, especially when destined for blending. There is a path to quality Vidal. In the quest for easing the tension between what Maryland does produce and what it ought to produce, I firmly believe Vidal can be part of the solution. The five wineries and winemakers/representatives who joined the group included Phineas Deford of Boordy Vineyards, Adam Fizyta and Mike Lentini of Catoctin Breeze, Dawn Stein of Big Cork, Roy Crow of Crow Vineyard and Gary Cohen of Mazzaroth Vineyard who was, arguably, the biggest proponent of Vidal Blanc in the group. Each brought an example or two of theiVidalal, and we tasted through them double-blind while discussing the virtues, pitfalls, and downsides of the grape. The first thing that struck me was the diversity of opinion on the place of vidal in each winery’s program. I think this represented the youth of the industry and, more importantly, the consumer base, as well as the challenging Maryland environment in which demand for wine grapes outpaces supply. Rarely can medium- and large-sized wineries maintain a consistent line of wines from year-to-year, for several reasons. First, harvest yields can vary dramatically from one harvest to the next. Second, if a winery can’t supply itself entirely with estate-grown fruit, it must test its purchasing prowess in the sourced fruit market, which does not produce enough to satisfy every order agreed upon, let alone submitted for consideration. And third, harvest quantities and quality vary as well, and so many wineries heavily feature blends rather than varietal bottlings because it allows them to make the same named wine from year to year using different blends to aim for consistency in profile and flavor regardless of blend makeup. From a production standpoint, vidal is a workhorse for the state’s industry as it grows well, produces relatively consistent harvest levels and can be made in different styles for different needs. The business perspectives on Vidal among these five produces differed in significant ways. On one end sat the smallest winery at the table, Mazzaroth, for whom Vidal is their passion, a cornerstone of their program and the biggest draw for their customers. As such, Mazzaroth treats the variety very seriously. For the much larger Big Cork, vidal serves two purposes, neither of which are driven by the winemaker’s variety preferences: they need to produce X amount of total wine and Vidal helps get to that level, and a segment of their consumer base expects and enjoys it. In the middle sit Crow and Catoctin Breeze, who treat the variety quite seriously but don’t base their white program on it. And on the other end, there’s Boordy, which is ripping out its Vidal vines and will source all its future needs from growers. Phin told me they’re doing this because their current Vidal site just isn’t well-suited for the variety, and there’s ample Vidal fruit available from growers that he can use to make his demi-sec version. 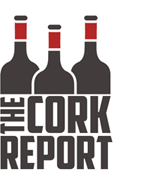 He isn’t shy about his general apathy towards the grape, though he recognizes that it plays an important role in his business model tantamount to Big Cork’s. The second observation of note was the range of styles produced. Mazzaroth, Catoctin and Crow made dry versions that receive serious attention from vineyard to bottling. Big Cork and Boordy make demi-sec versions that are made for the segment of the market that frequents the sweet wine aisle. The latter happen to be larger production wines, and the residual sugar makes it easier to achieve a consistent wine year-to-year because it can smooth out vintage and vineyard variations. The dry producers in this group showcase vintage in their Vidal like all these wineries do with varietals like chardonnay and albarino. Crow goes so far as to make a sparkling Vidal in the traditional Champagne style, method champenoise. While it has to be one of the more expensive Vidals produced anywhere at $27, I’m a fan, and I’ve had much less exciting sparkling wine that was priced higher. When treated lightly, meaning picked closer to peak acid and gently pressed, Vidal can produce a lot of minerality, stone fruit, and zesty flavors, and this makes it a good candidate for Champagne-styled sparkling wine. If the ability to develop body is cut short by the early pick, extended time on lees can help fill out the wine. Third, I found that these wines offer promise for food pairing regardless of style. The stereotype embraced, the demi secs go well with spicy food. I’ve had the Big Cork Vidal with Indian food, and the residual sugar worked with the bright acid to enhance the spices and flavor of the meal. The dry versions offer profiles that I could see pairing with a variety of seafood, salads and starches. When trying the wines from these producers, I consistently picked up stone fruit and zesty citrus notes, as well as nutty flavors. Finally, there is welcomed tension in the wine itself. Though not every Maryland Vidal I’ve had has featured this exciting sense of uneasiness with itself that reminds me of Chablis, several have that feeling that reminds me of holding the leash of a dog so excited by his surroundings that he’s constantly pulling on the leash, leaving me unsure of what has him so excited but nevertheless fully engaged with the animal’s senses firing in all directions. Several Maryland Vidals put that leash in my hand. There are more than 1,300 varieties of wine grapes growing in the world today, but an overwhelming majority of the wine made around the world comes from just twenty of them. It, therefore, makes sense that a young wine region like Maryland would focus on what consumers know. The further you stray from the core twenty, the harder it can be to appeal to wine consumers, many of whom are risk-averse. This means that if you’re going to produce something “different” then it better be, at minimum, good enough to hold its ground in a tasting line up. 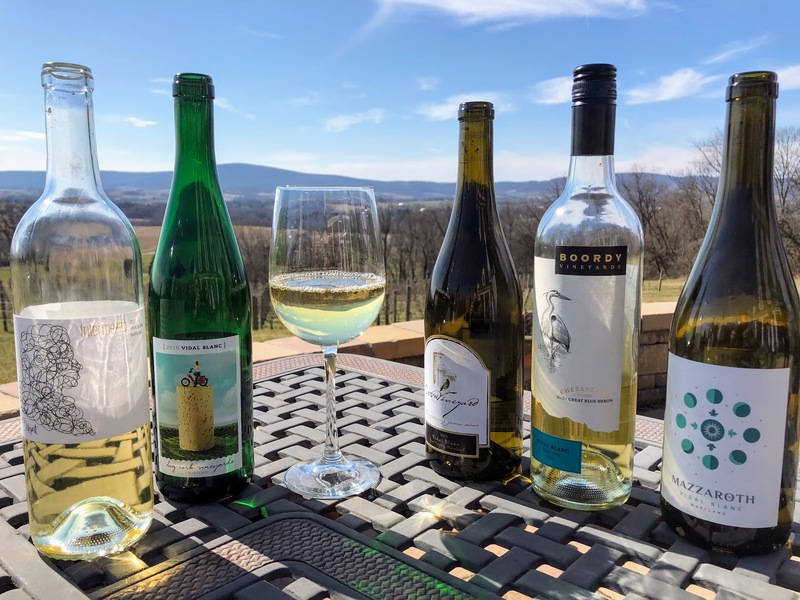 There are wineries in Maryland producing serious and engaging wine from the Vidal Blanc, most notably Mazzaroth, Cactoctin Breeze and Crow Vineyards in my book. More wineries following in the footsteps of these producers would certainly help improve the grape’s reputation. On its own, Vidal will not eliminate the tension I’ve discussed here between what consumers know and what Maryland can produce well, but the wines from the producers in this article do suggest that it can be a bigger part of the solution than it’s currently playing. For vidal to play that role, the state’s industry must embrace the grape as one worthy of varietal bottling and produce more quantities of more serious Vidal while celebrating it in the work they do to educate and entertain their customers about the uniqueness of Maryland wine. Trying to reproduce Californian and French wine in Maryland is an impossible task, and sooner or later the industry will need to have a more self-defined style if it is to have the reputation it clearly wants. Vidal can help them do that. Vidal (Vidal 256) is a French hybrid, not vinifera, produced from the Vitis vinifera variety Ugni blanc (also known as Trebbiano Toscano) and another hybrid variety, Rayon d’Or (Seibel 4986).